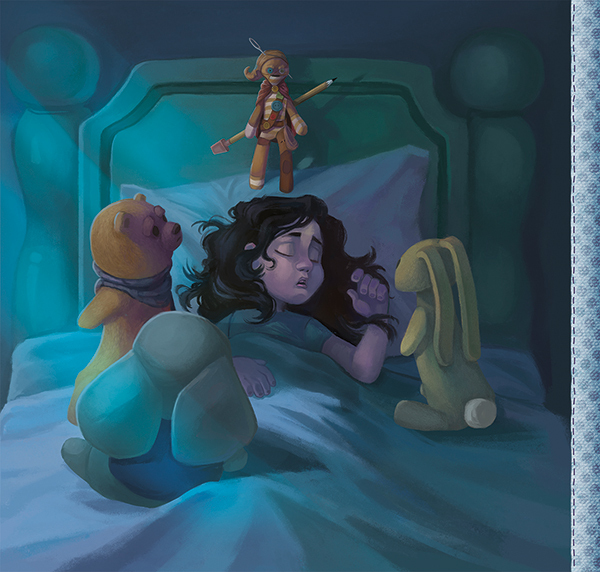 Hello, and welcome to this week’s Stuffed Fables preview. Today we are showing the opening story pages of the AdventureBook to give everyone a taste of how the story begins, and to provide a sense of what to expect inside this meaty tome! The following images are pages directly from the AdventureBook. As you play the game, the AdventureBook will lie flat and open in the play area. Each story begins with a piece of artwork on the left hand side, wonderfully illustrated by artist Kristen Pauline. These really set the tone and mood of the story players are about to explore. 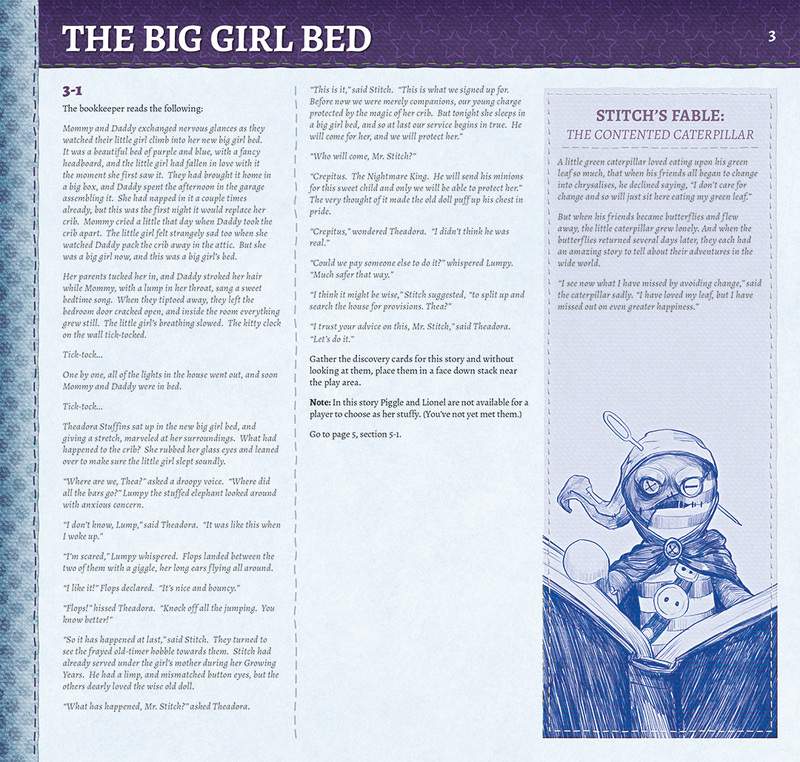 On the right hand side will be story elements to set the stage, and other text that prompts certain actions, such as guiding players to a new page to continue the adventure, or providing special rules that govern the location the stuffies are exploring. At the start of each story there will also be a fable that matches the lesson central to that story. Players can read the fable and keep it in their thoughts while they play. Click on the image above to discover more of the story! The AdventureBook is a hefty 104 pages. As the players play through each section, their choices will guide them to new pages containing more experiences and unique challenges. You won’t know what to expect until you turn the page and find out. There are seven stories in the AdventureBook, and each story has three potential endings. We will also release a web adventure soon after the game’s release that you can download and print out, providing an eighth story. Delve deep into tales of adventure when Stuffed Fables comes out this December.